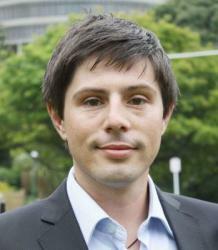 Wellington, July 23 NZPA - Too many New Zealanders live in cold, damp rental homes, Green MP Gareth Hughes says. He has a member's bill to legislate against such homes and is touring the country to promote it. Mr Hughes' Warm Healthy Rental Bill aimed to ensure rental homes met basic standards for warmth and insulation by 2018. The bill will be entered into the next member's ballot. All New Zealanders should have adequate housing, Mr Hughes says. "We know that there are a lot of cold damp rentals out there and that lots of people have to live in them because they don't have the money to move." The bill would improve people's health, reduce emissions from energy production and increase the value of landlords' properties, Mr Hughes said. He would visit universities around the country to see some of the coldest flats, he said. Mr Hughes called on the Government to support his bill and help provide warm and healthy homes. Once the bill is entered into the member's ballot it will still have to be drawn and get enough votes to be passed.